Dubai is a key area for us with shipping services including seafreight and airfreight handled regularly between Dubai and the UK as well as Dubai and the rest of the world. 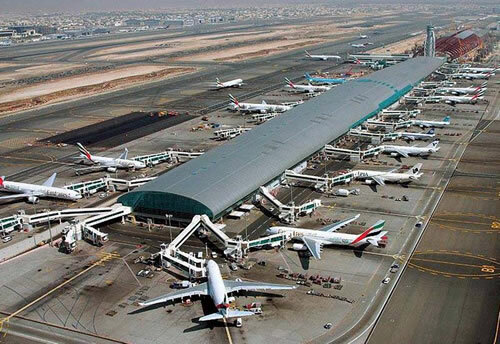 Airfreight: Virtually all airfreight to and from Dubai passes through Dubai International Airport which is in Al Garhoud district, 4 km (2.5 mi) southeast of Dubai city. Connecting transport is usually carried out by road which is a service that World Cargo Solutions can offer. Cargo can also often be routed through Sharjah International Airport for services to the rest of the United arab Emerates. We also handle cargo services through to the other emerates, Abu Dhabi, Dubai, Sharjah, Ajman, Umm al-Quwain, Ras al-Khaimah and Fujairah although due to the massive scale of economic development and growth focused on Dubai most of our work is focussed through this hub. Seafreight: We handle cargo through both of Dubai's major sea ports, Port Rashid (in Dubai city) and Jebel Ali Port, handling both UK/Dubai and Dubai/Worldwide movements. Port Rashid is is the most significant Dubai port and is the primary hub for the whole United Arab Emirates. Port Rashid has the largest amount of shipping movements and is the most efficient although it is smaller than the Jebel Port in Dubai. Jebel Ali Port which is also known as Mina Jebel Ali, although larger (it is the largest port in the Middle East), is 35km South East of Dubai. Cargo Services: We can arrange for all types of cargo shipping to Dubai including sea and air freight. This includes palletised LCL, and full container shipping. Airfreight courier services can also be handled. IT & Blue Chip Services: A particular focus for Dubai is the shipping of cargo for IT and blue chip companies. This includes computers and office equipment. With more and more corporate's relocating to Dubai's state of the art business environment there is an ever increasing reason for companies to establish a presence in Dubai. World Cargo Solutions can help you get there. Events & Concerts: We regularly assist companies and organisations ship equipment for trade shows, conferences and public events including concerts. We have access to a wide range of specialists event logistics firms operating across Dubai and have a full working knowledge of the venues and facilities across both Dubai and the Arab Emirates.